Sony’s PlayStation Now or PS Now cloud gaming service is coming to Windows PCs. According to different sources on the internet Sony made the announcement on Tuesday night. According to the announcement the PS now service will be coming to users in Europe and North America. 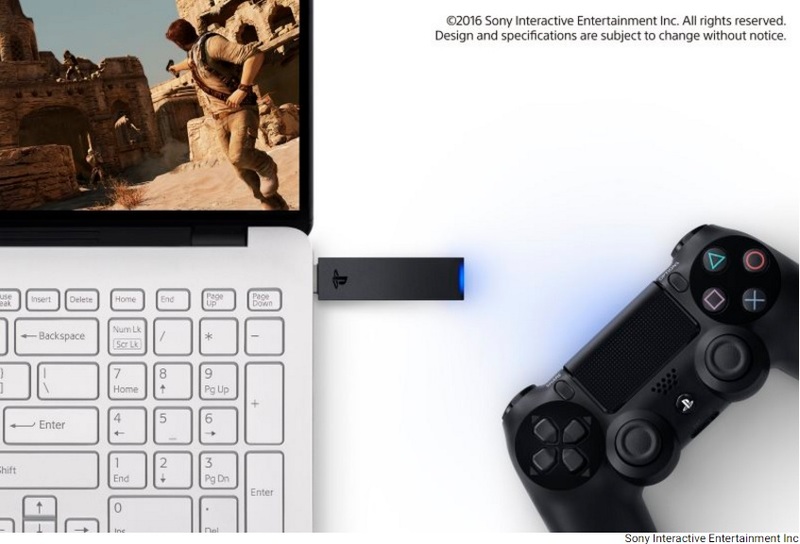 Moreover, Sony also announced that it will be launching a wireless adapter for its DualShock 4 controller for both Windows and OS X. To recall, PlayStaion Now or the PS Now was only available for Sony’s own devices like on PS3, PS4, PS Vita and PS TV. After getting PS Now on your PC you will be able to play titles such as Uncharted and God of War franchise on your PC. The system requirements which you need to run PS Now on your PC is listed below. No Mention about the type of graphics card has been made. But PS Now users will need a minimum 5Mbps of Internet speed to be able to run PS Now on their PC. There would be over 400 titles which PS Now user will be able to enjoy on their PC. Just to remind you that the PS now service costs about $19.99/month and it is expected to remain the same for PCs too. On the other hand, the new DualShock 4 USB Wireless Adaptor could be launched sometime early next month at a price tag of $24.99 (approx. Rs. 1,680).